Betting preview, tips and enhanced odds as the Women's Miami Open takes place. There have been 13 WTA tournaments so far in 2019 and there have been 13 different champions. That leaves the Women’s draw wide open with any number of possible contenders, leaving plenty of value in the market. Naomi Osaka bowed out in the fourth round at Indian Wells to Belinda Bencic and will want to rectify that. She has won 11 of her 14 matches so far this year and you’d like to think she looks the most capable of the current 13 title holders to win a second. She’s scheduled for a meeting with the competitive Su-Wei Hsieh in the third round but that shouldn’t worry her too much seeing as she beat the Taiwanese on her way to glory at the Australian Open, while both Garbine Muguruza and Caroline Wozniacki aren’t exactly the most fearsome of seeded players to contend with. The Spaniard threw in a 6-0 6-1 capitulation against eventual champion Bianca Andreescu last week while the Dane is yet to show any form of note this season. That leaves the quarter-finals her only real worry which would most likely be with one of Andrescu if she can continue her winning form from last week, Aryna Sabalenka or Angelique Kerber. The former would have to pull off some sort of miracle to maintain her levels for another two weeks, the Belarusian big hitter has beaten just one player inside the top-35 this year and Kerber looks to have a horribly tough draw. Having backed Ash Barty last week, we were disappointed for her to crash out in the fourth round, losing to semi-finalist Elina Svitolina. The Aussie has won 10 of her 13 matches so far in 2019, with her only other defeats coming at the hands of the in-form Petra Kvitova in both Sydney and Melbourne. 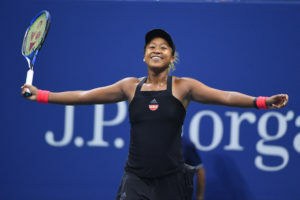 She should see off the intermittent Madison Keys and Kiki Bertens with relative ease, especially having already beaten the latter this year which will set up a likely battle again with the 3rd seed Kvitova in the quarters. At nearly double the price and with an easier draw, we’re willing to take a chance on Barty turning that form around against the Czech lefty. The reigning champion Sloane Stephens has to be respected at this tournament having had a poor start to her 2018 season before going on to lift this title. However, she’s shown little sign of turning her form around following and opening round exit in California, and on top of a difficult draw, we’re happy to take her on. The candidates form quarter three we like are Karolina Pliskova and Belinda Bencic. Both players have been gifted lenient draws and should meet each other in the fourth round. Of the two, we’d give the slight edge to Bencic who in Dubai recently, has won six of her last seven matches with the current top-10, and is a bigger price. Danielle Collins finds herself in what looks at first a very tough draw. However, if we consider that Serena Williams pulled out of last weeks’ Indian Wells tournament due to illness, while the sixth seed Elina Svitolina (her scheduled third round opponent) has openly spoken about her knee troubles last week, then last years’ semi-finalists looks to have an outside chance. The Aussie Open semi-finalist will face either of the wildcards Mari Osaka or Whitney Osuigwe, who’re both yet to win a main draw match at this level first up, before a likely meeting with either Svitolina or Yafran Wang in the third round. Wang may have won in Acapulco earlier this month, but she only had to face one player in the top-26 in that run – Donna Vekic – as she is 4-16 (W-L) against such players in her career. Another player to disappoint at Indian Wells was Simona Halep. She lost out to Marketa Vondrousova, but with an easy opening round here in Miami followed by a likely encounter with Lesya Tsurenko, who she has beaten in both encounters this year, she’ll fancy her chances. Moreover, the only player in any real form until her fourth round looks to be Venus Williams. The American impressed last week but at the age of 38, that quarter-final run could well have taken its toll. The Romanian will also be hoping that the setbacks to both Serena and Svitolina can help her cruise through to the Semi’s.